I have some progress to report at last! 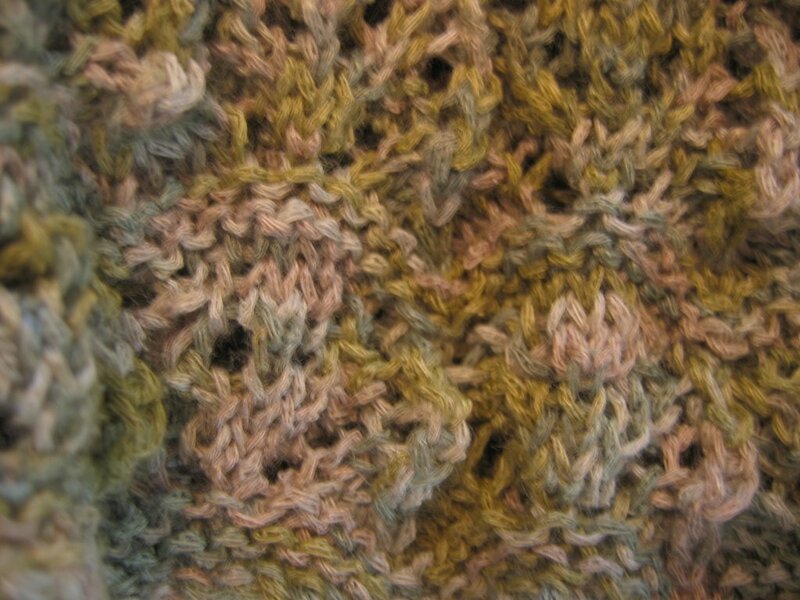 Here is a close up to show the colours - it's SWTC Bamboo Sahara. it could do with a good blocking to show the stitches better. 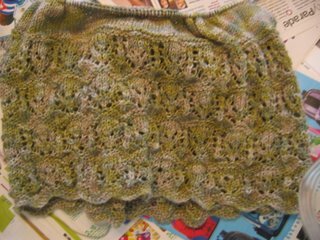 I have now completed up to the armhole shaping. 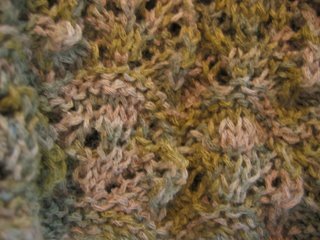 I kept with the four repeats as I am quite short-torsoed, and I did 3.5 inches of stocking stitch before dividing. Here is the whole thing after about an inch and a half of st st.
Not far to go - should have it done in a couple of days, if I don't have too many interruptions. oooooooh... I love the colorway! Yummy! Oh, it's coming out nice! So not camouflage wear at all.